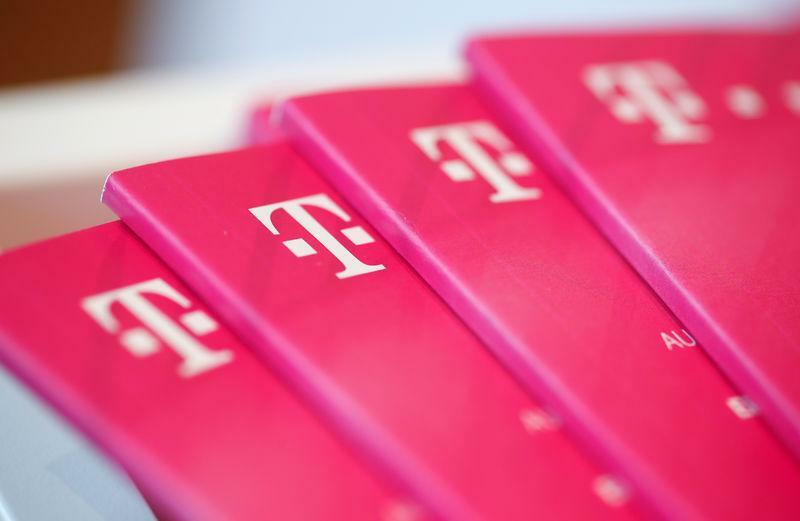 BONN, Germany (Reuters) - Deutsche Telekom forecast that its earnings would continue to grow in 2019 but by less than expected as Chief Executive Tim Hoettges looks to close a key U.S. merger, acquire spectrum and roll out 5G services. After a 5 percent rise in 2018 core profit, Europe's leading mobile operator expects 2019 adjusted earnings before interest, taxation, depreciation and amortisation (EBITDA) after leases to grow by 3 percent to 23.9 billion euros (20.8 billion pounds). Although in line with its own projections given in 2018, it compares to analysts' expectations for 2019 core earnings of 24.7 billion euros. "Guidance looks slightly soft to consensus on a comparable basis," analysts from Jefferies said in a note to clients. Deutsche Telekom's adjusted EBITDA in the fourth quarter rose 12.6 percent to 5.65 billion euros - roughly in line with expectations of 5.588 billion euros. Results were lifted by another strong showing at Deutsche Telekom's U.S. unit T-Mobile, which accounts for nearly half of the group revenue, and is seeking regulator approval for its $26 billion takeover of Sprint Corp. Despite stable revenues at its IT services arm T-Systems, core earnings of the unit fell 16 percent as investments in growth areas such as cloud computing, health and Internet of Things weighed.